Your property should always reflect your personal style and the designs you want. With a wide range of garage door designs available, you should always find the perfect option for your property that matches all your home design expectations. 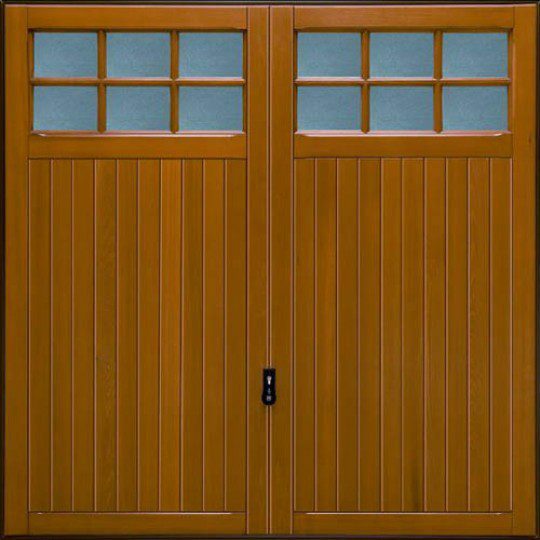 LT Garage Doors have several garage door designs and garage types for you to choose from. We can provide the advice you need to choose the best option for your property. Although there are several options when choosing your opening style, getting the initial design of your door correct is your biggest choice. There is such a wide selection of colours and materials that can be used to create your garage door. Whilst you want a strong and durable material, a small dose of style can massively transform your property. Timber doors can give you this great style, whilst still maintaining a fine quality, keeping your garage contents safe. Timber doors also come in many different colours, but this can be the first stop on a path to a stylish exterior property. We can create bespoke doors to match your specification, ensuring colour and size is perfect. A sectional opening style will mean your garage door opens upwards, however, each section of the garage door will move separately from the other sections. This allows for a stylish and smooth opening which can also be controlled electronically. Sectional opening styles are a great option when choosing your garage door. Sectional doors can be divided into several sections, usually a minimum of three. With a thickness of at least two panels and rubber weather seals on every side of the door, they are very durable for any use and any type of weather. 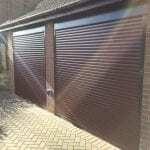 Again, sectional doors have a range of colours and styles available including oak and rosewood. Garage door designs can always be tailored to your property and the current style you have. Sectional openings are a very stylish opening style and means very little space is taken up in the garage or driveway when the door is opened. Although you may not want people seeing within your garage, window installations are a fantastic feature to acquire. Small or large UPVC windows can be installed easily across your garage door, providing you with a different style. If one colour for your garage door is too boring, window installations could be the perfect solution! This can only add to your current garage door designs and the style it already has. Although a stylish garage door is perfect for every property, it may not always be ideal. 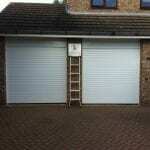 If you are constantly coming in and out of your garage, having side hinged doors could be a great alternative. If you decide to renovate your garage interior, whether this is to a games room, storage place or a band practice area, you need easy access to it. Although other door options will still give you simple access, having a side hinged door means you can easily move in and out without having to keep the main door open. We can provide you with both a side-hinged door and large garage door designs. These designs can always match so the style in your exterior looks fantastic and you are fully satisfied. With so many garage door designs available, we can always transform your property to meet all your expectations. If you would like to discuss the design you would like or want advice from LT Garage Doors on the styles we have available, do not hesitate to call us. Call us on 01782 533 552 or 01785 748 001 or 01625 886894 or fill in our contact form to make an enquiry in Staffordshire.